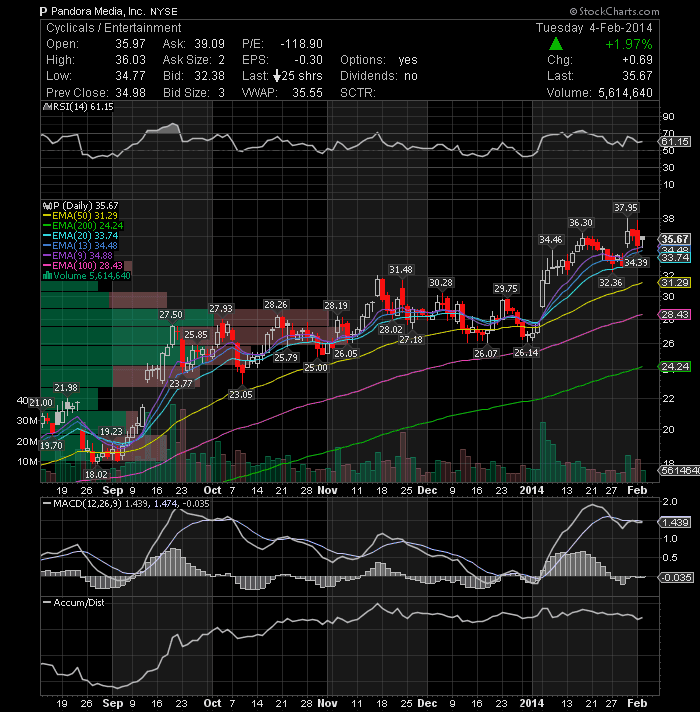 Pandora Media Inc (NYSE:P) stock price remains in consolidation phase trading above its major EMAs. Short-term technical bias, shows a neutral bias but overall still bullish. The 31.6 area has been providing a good support in the last three weeks and price need to make a clear break below that area to change the trend direction, therefore as long as the stock stays above 33.72 (20EMA) my technical outlook remains to the upside. 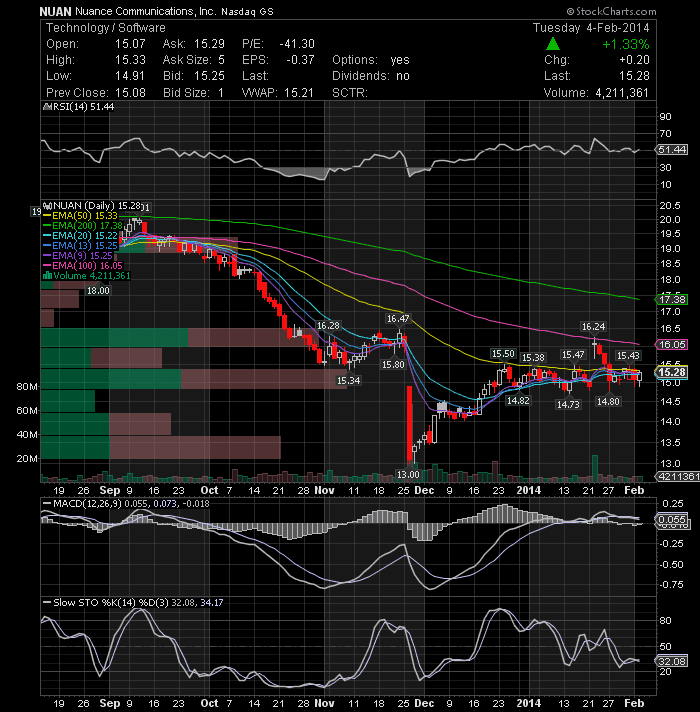 Nuance Communications Inc. (NASDAQ:NUAN) made a nice movement today, closing slightly below its 50EMA. A clear break above this key level could trigger further bullish momentum testing 16.05. 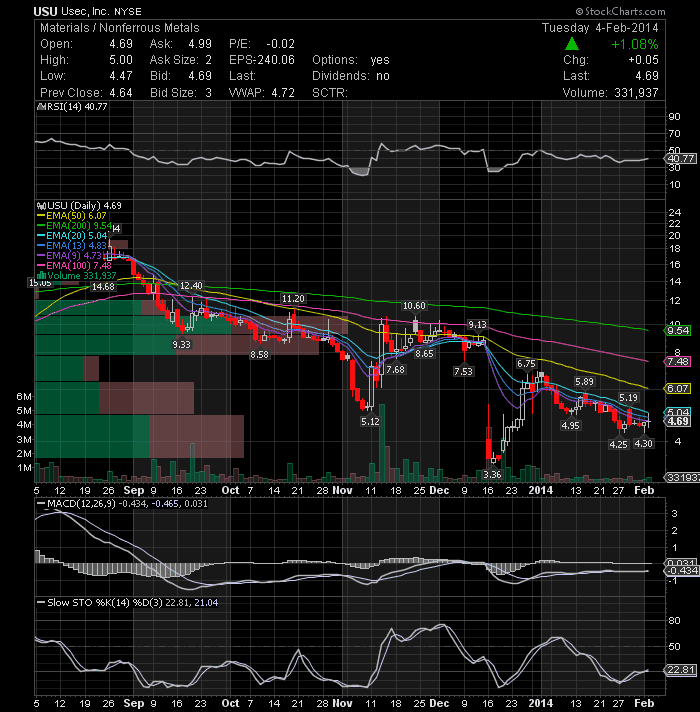 I think USEC Inc. (NYSE:USU) has found a bottom around 4.4-4.75 and looks poised to post a rally from current levels. Some technicals are displaying positive divergences. Keep it on watch. 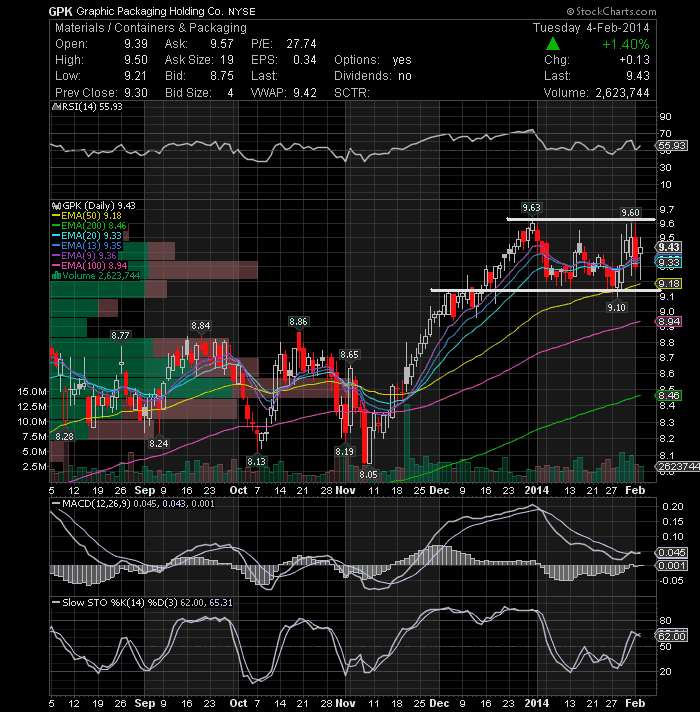 Graphic Packaging Holding Company (NYSE:GPK) still in a consolidation phase. 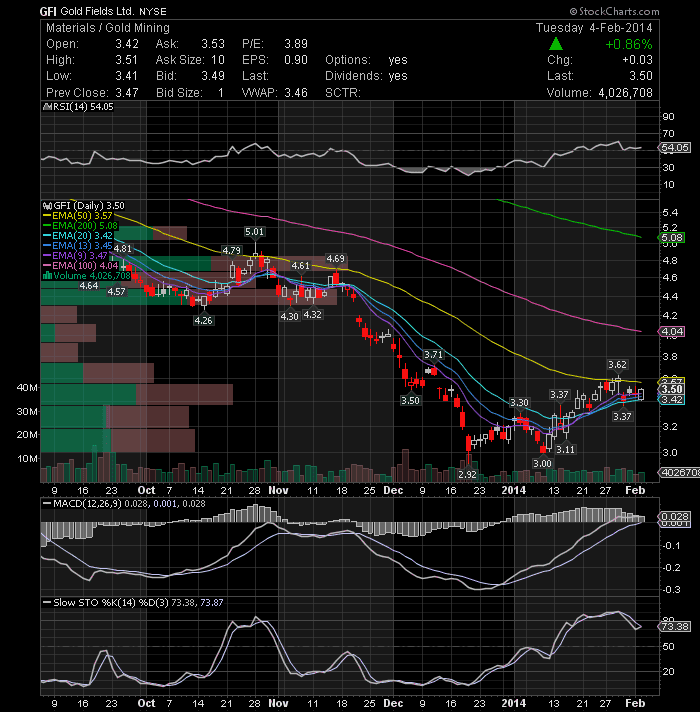 The stock made another upside attempted but found a strong resistance around the 9.50 level. Only a break and close above 9.63 could trigger further bullish scenario. Gold Fields Limited(NYSE:GFI) Has room to run if it wants. Today’s bullish candle could be an early signal of a bullish reversal. A clear break above 3.62 could trigger further bullish pressure testing 3.82.